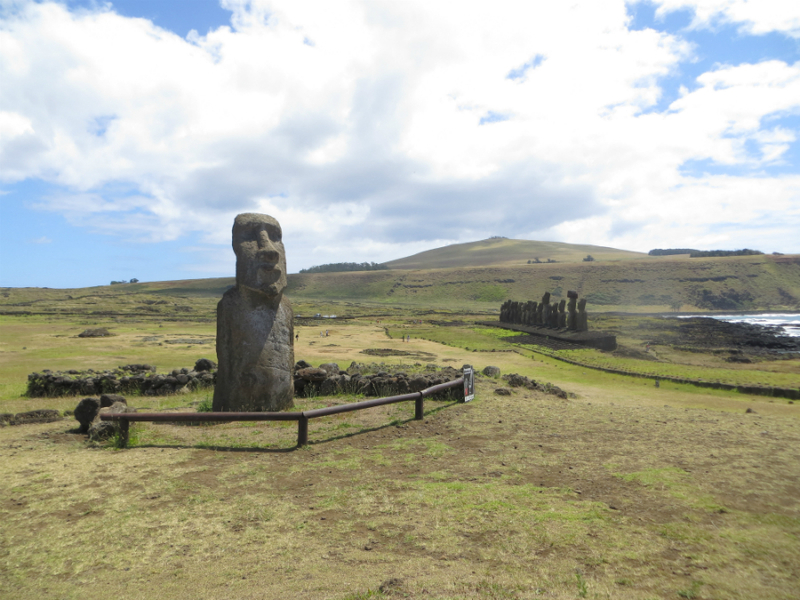 Rapa Nui / Eastern Island – Always Look Back ! 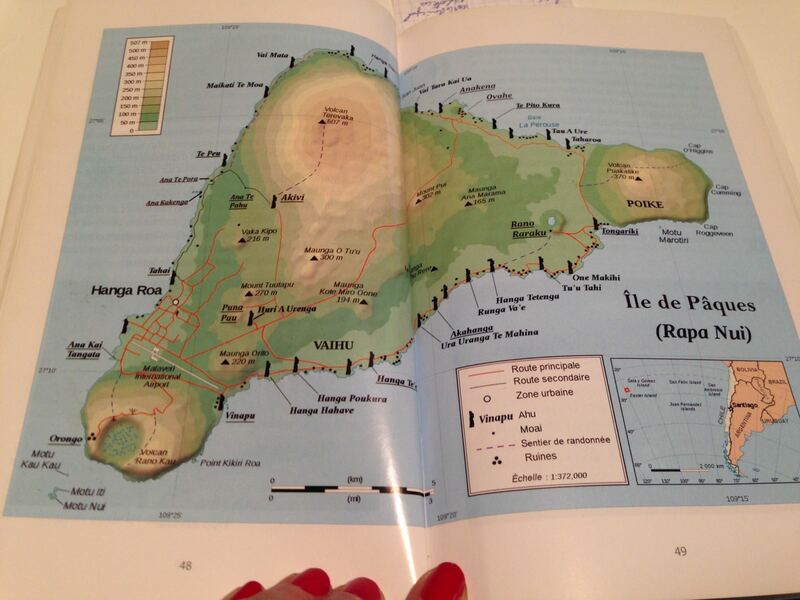 To celebrate my 30 years old I was on this mysterious island, one of the most isolated, with my mom. In 4 days we achieved to visit the majority of the sites. It’s one of my favorite trip and defintly my best birthday ever! 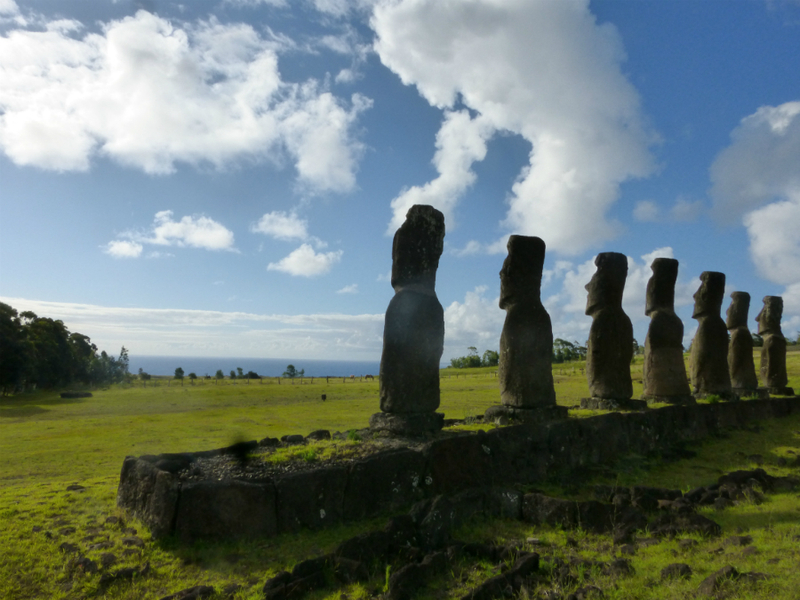 Eastern Island, or the polynesian name “Rapa Nui” is a small island lost in the middle of the Pacific. 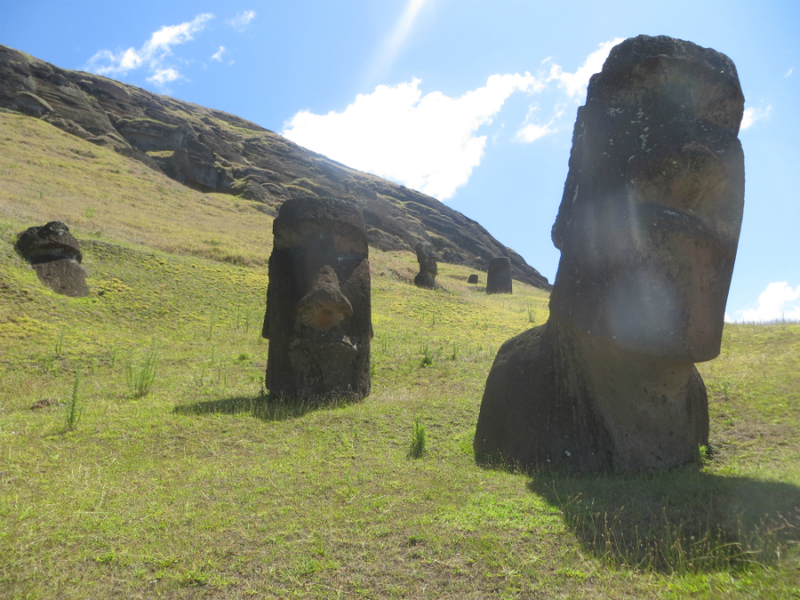 Discovered on an eastern day, by a dutch group in 1722, it’s an island full of Moais, those enigmatic statues built between 1250 y 1500 AC. We rented a car to visit the island and enjoy the time there all alone. 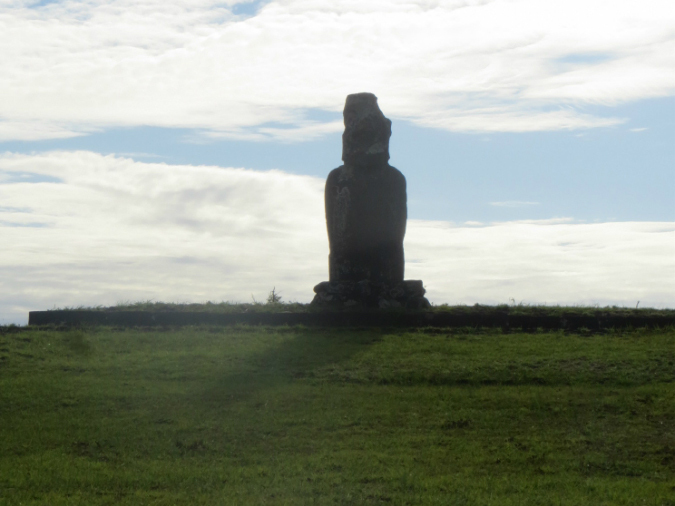 You need to know that every Moai stand up have been restored, as they were all destroyed. Some of them wear a hat, others coral eyes. 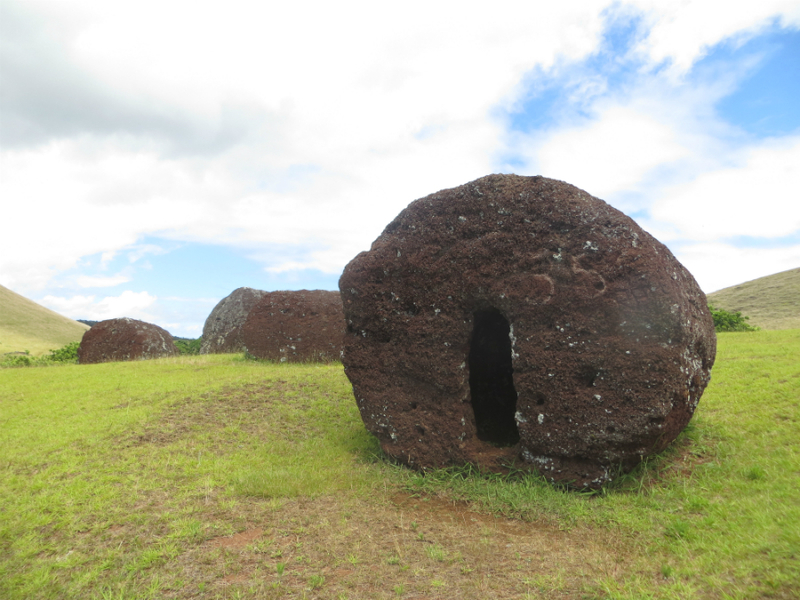 You must buy at the airport a ticket to visit two sites: Rano Kau and Ahu Tongariki. The others are free (for this moment). 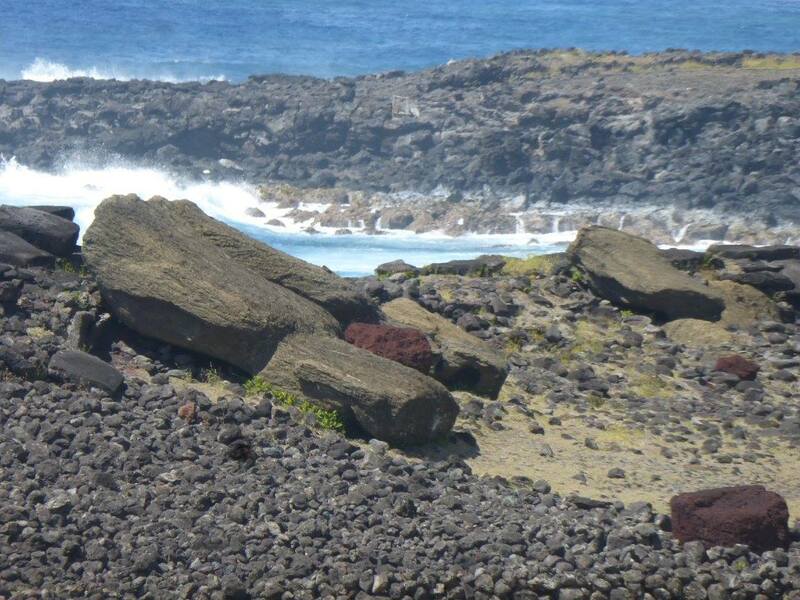 To stay: Camping Mihinoa, good price and good location! 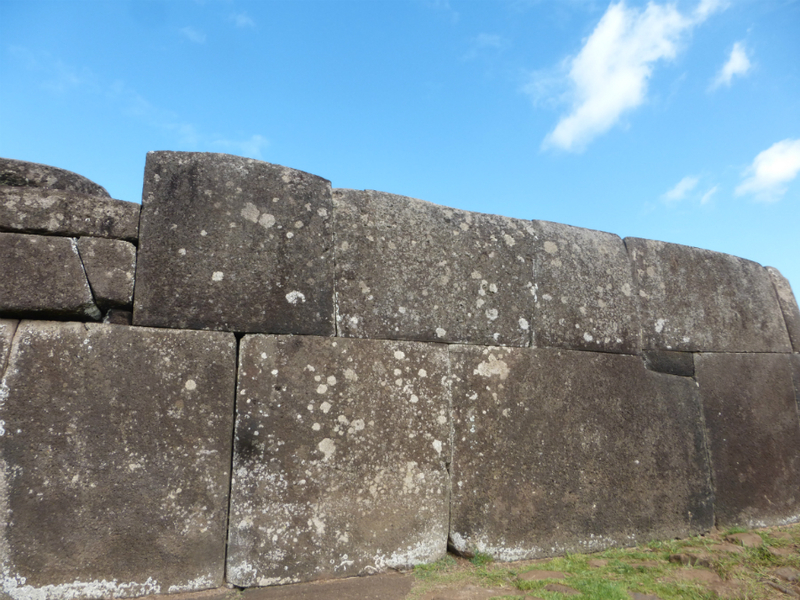 We started the day by Vinapu, where we saw the first destroyed Moais but also the incredible work on the hats and on the platforms (very close to the peruvian style around Cuzco). Then we took the coast road and stopped at every point. 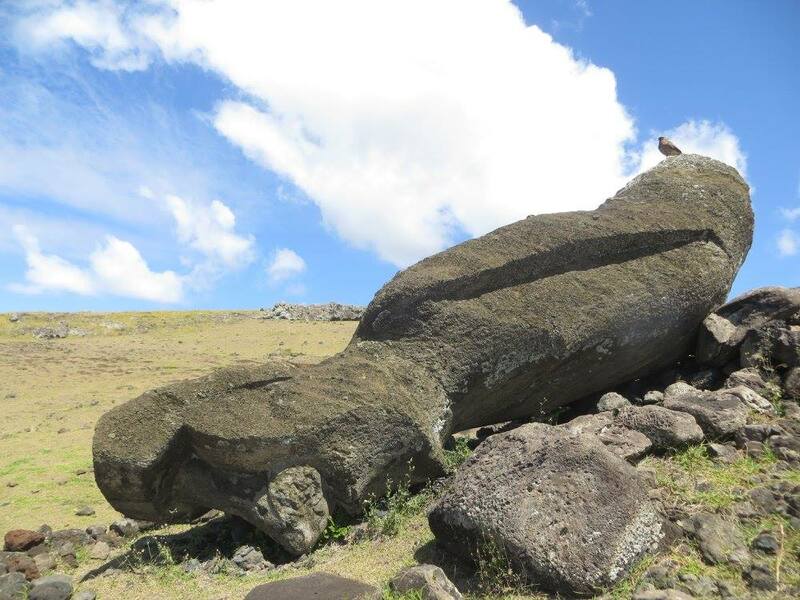 After seing the sunrise back to Ahu Tongariki, we went to the mountain where were built the Moais: Ranu Raraku. 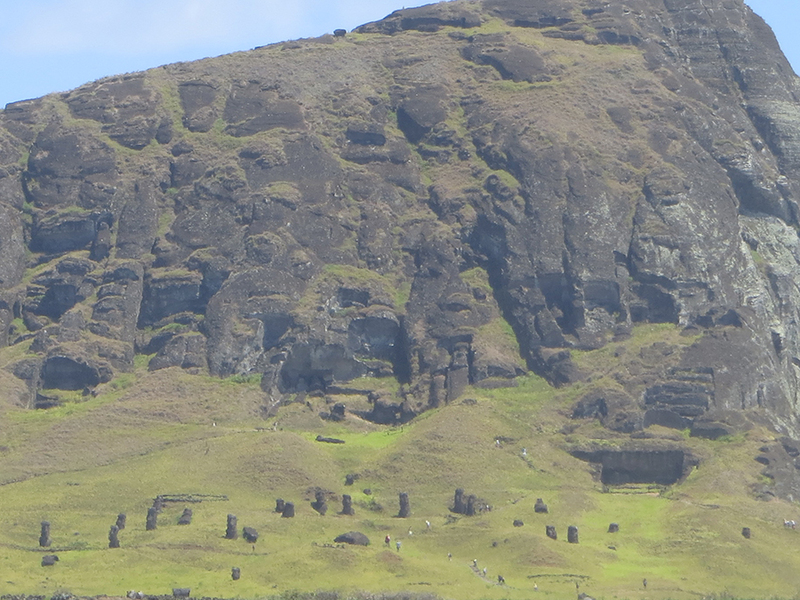 You can see there 397 moais, including in the heart of the volcan! They were dug directly in the rock, and put in a hole to build the back side. They all have been abandoned in the middle of their construction or during the transportation. To protect them the archaeologists left the bodys in the earth, but you can easily imagine the size of the statue watching the heads! 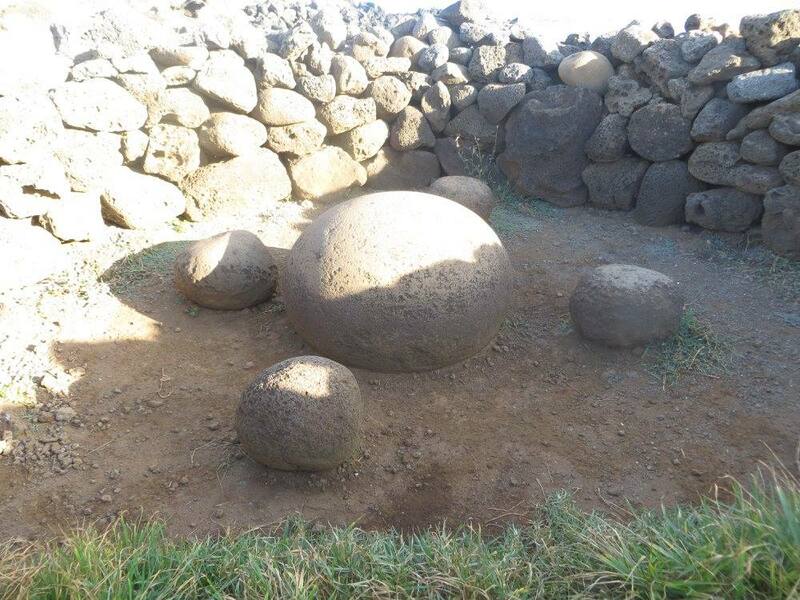 We kept going north to find various sites, like the petroglyphs of Papa Vaka, the stone Pu O Hiro (a natural trumpet), the red beach Ovahe,Te Pito Kura – World numbril, and finished on Anakena beach where you see the Ahu Nau Nau. 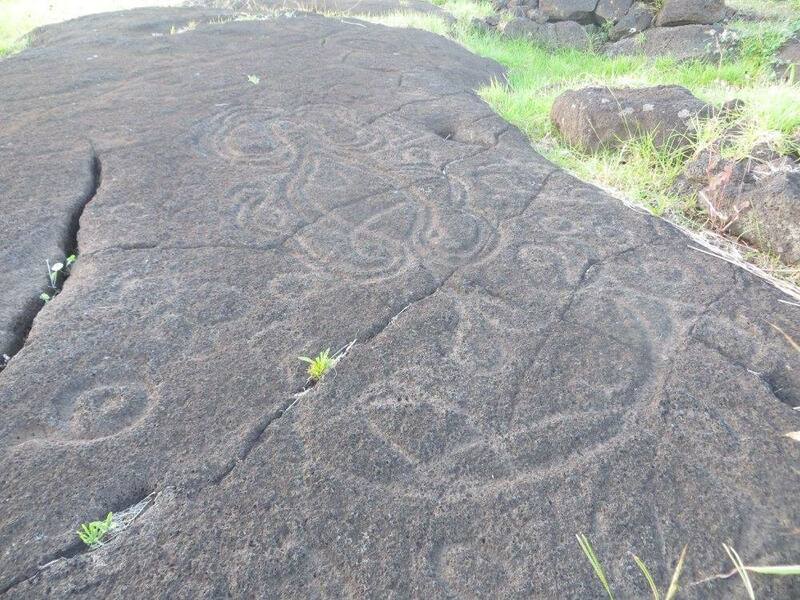 Orongo situated on the south west is a big hill where you can appreciate a gorgeous sunset! 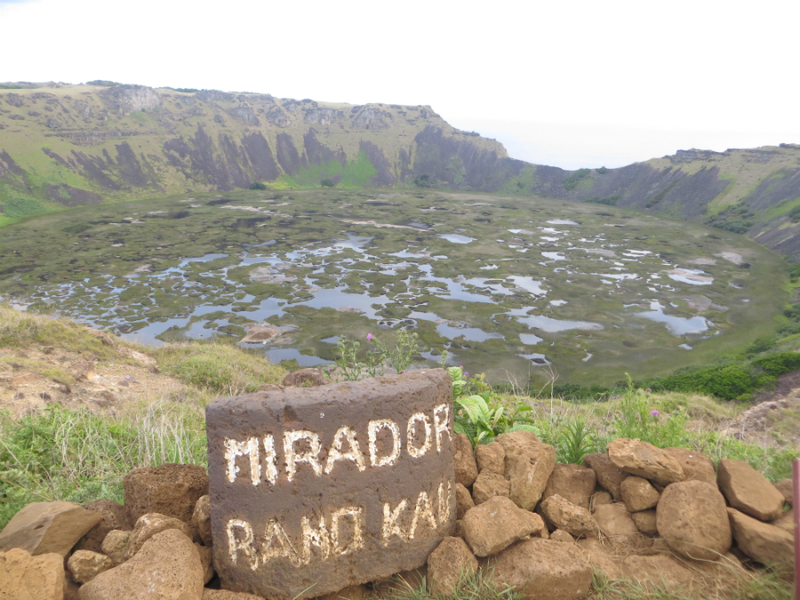 You will start by Rano Kau belvedere, view on the crater full of water, and walk along the coast seing the original Orongo houses where started Tangata Manu celebration, “Bird Man”. Each village chief chose his champion to perform the competition (the winner offer to his village the repartition of the island supplies during one year). The competition consisted of a race starting in the crater, then they had to swim on a board to Moto Nui island (you can see in front of Orongo). 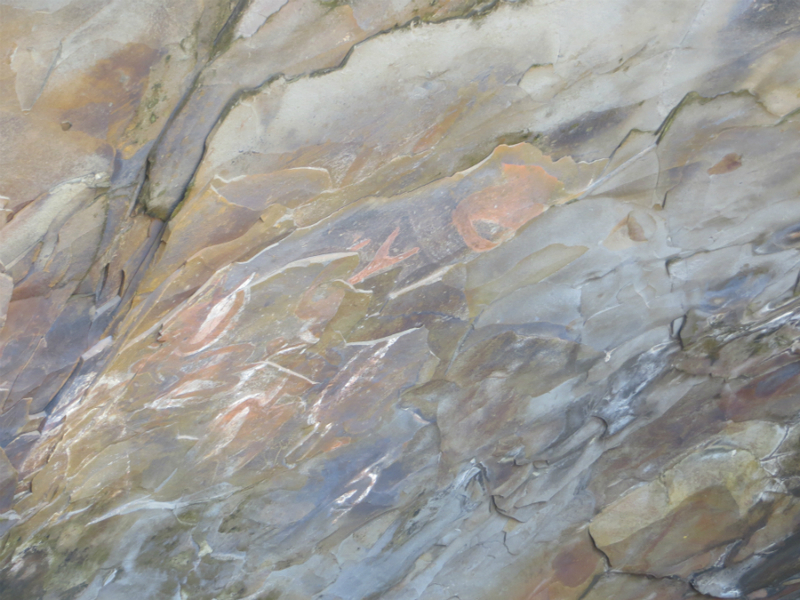 Finally they had to find a tern egg and to go back on the coast with the egg intact! Hanga Roa is the only city where you can visit there a nice museum, the church (you should go there during a mass where they mix christianism and local traditions and songs), and an artisanal center. A cave with birds draw on the ceiling! 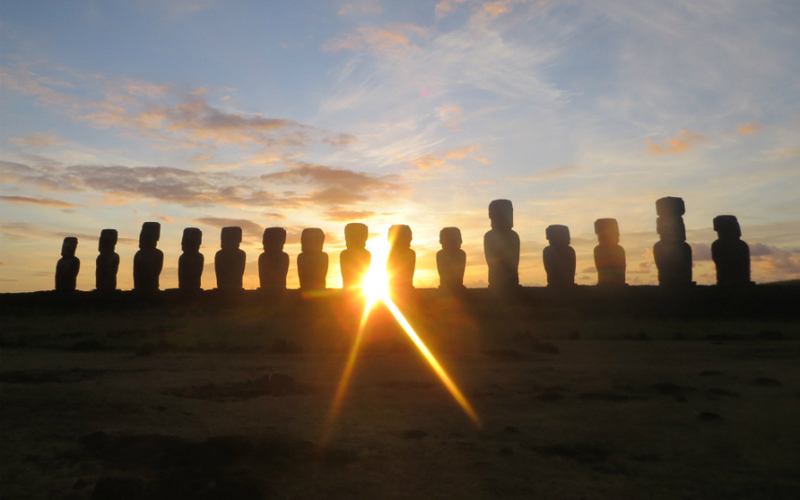 Situated on Tahai site, Ahu Uri and Ahu Tahai are a great place for the sunset! 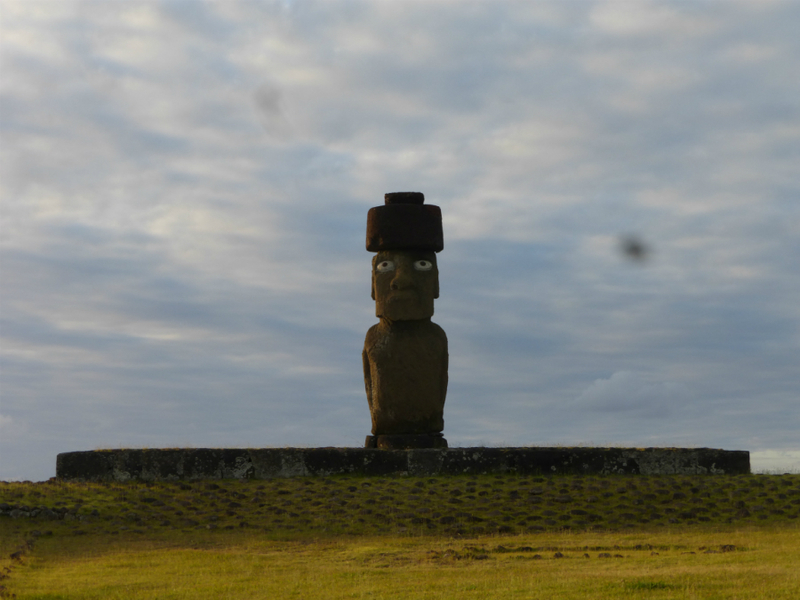 Also on Tahai place, this Moai is the only one who kept his eyes! 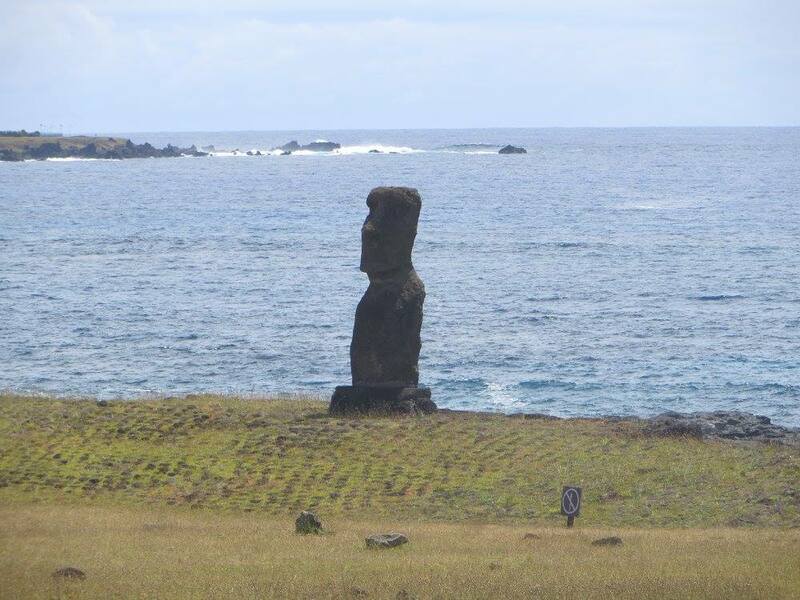 An other alone Moai back to the see! 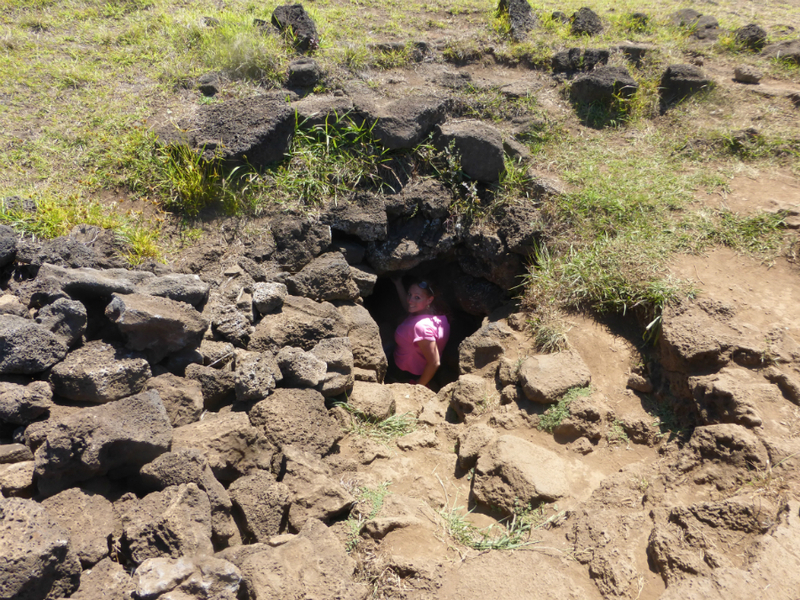 On the west coast you’ll find the cave Ana Kakenga, with two windows on the sea (hard to find because the hole is small) and Ana Te Pora a bit further. 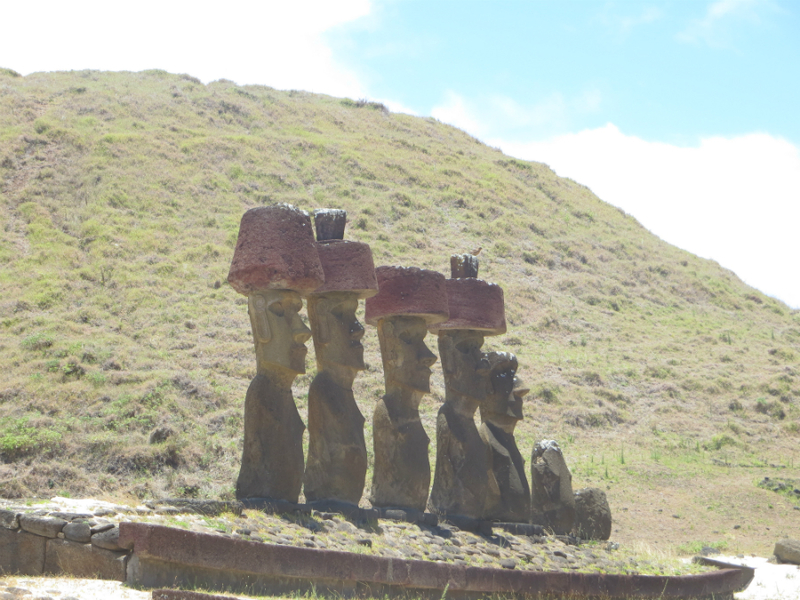 The only site where the Moais seems to look on the beach (the others all look inside of the island). 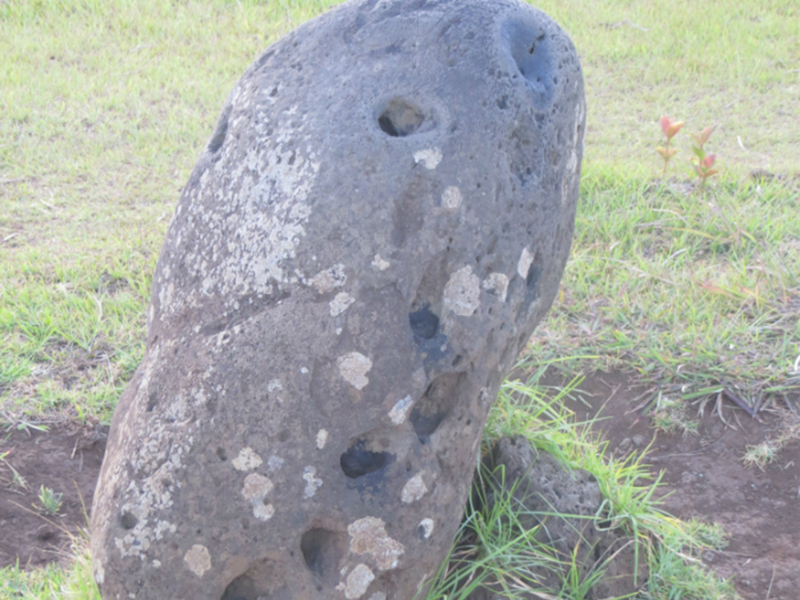 A Moai with the particularity to have 4 hands. The place where come from the hats: Pukaos. 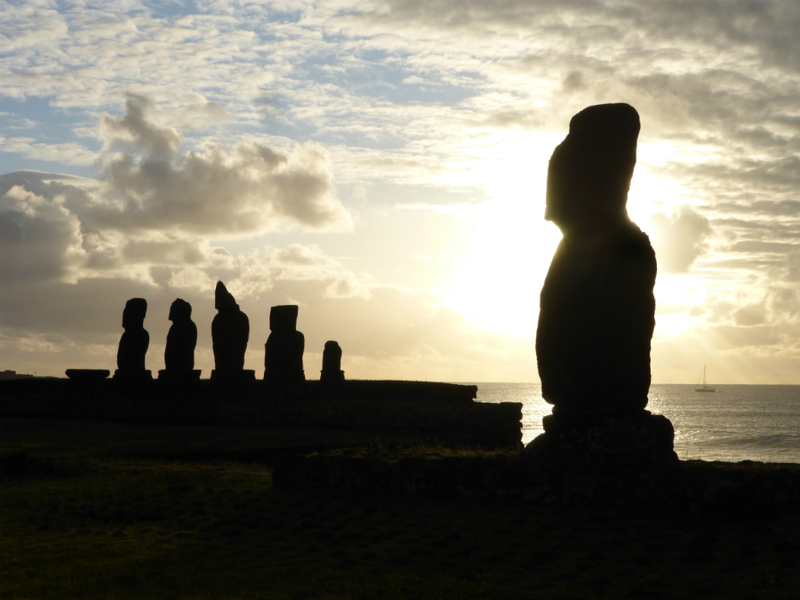 – There’s a Moai in the sea: go diving! Pictures of the best moments! Please enter your email address to receive my updates !